To the great surprise of many visitors, the city of Oakland is home to some fabulous architecture and old buildings. 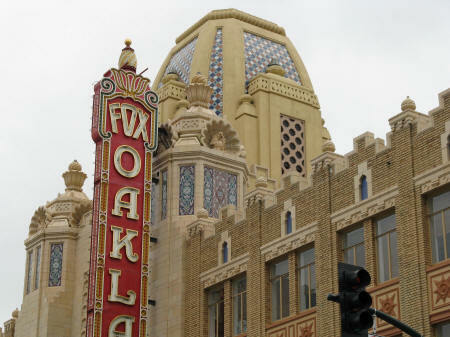 One of the most intriguing buildings is the Fox Oakland Theatre on Telegraph Avenue. This colourful building features a terracotta facade and huge dome that radiates a middle eastern character. Other interesting buildings are the super-narrow Cathedral Building, the classical Oakland City Hall and the historical Victorian style homes that can be found in Preservation Park.